You’ll train her, and she’ll train you. I want you to make a good pony out of her. I want her to make a man out of you. When Ken is given a horse of his own, he thinks his dreams have come true. But Flicka is a proud and spirited foal - and everyone says she’s no good. Still a terrific book after all these years - I first read it as an eight year old and it only gains with age: it's not really a kid's book although it is so often marketed as such. 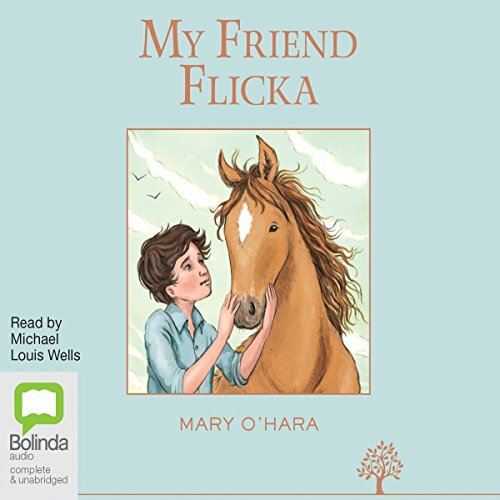 The narration is good, even if Gus' Swedish accent comes second only to the Muppets' Swedish chef :-) What a shame Thunderhead and Green Grass of Wyoming aren't also available as audiobooks as I'd have bought them both like a shot after listening to Flicka!